The City of Randleman North Carolina, about 20 miles south of Greensboro in Randolph County, was established in 1880. A city built on factories and mills, Randleman thrived in the 1890s with the addition of the High Point, Randleman, Asheboro, and Southern Railroad. The 3,000 acre Randleman Lake also offers resources and recreation to the town. Today, Randleman is most known as being the home of NASCAR’s Petty family and the Victory Junction Gang Camp. As many factory and mill jobs have moved out of the town, city planners have been actively working to rejuvenate the town for a new generation. Development around the lake, the addition of a community center, park and recreation center and up-fitting of many downtown shops and restaurants have all contributed to the revitalization process. One of the major beautifications to the downtown has been the complete overhaul of the Commerce Square, the city’s downtown community event center. 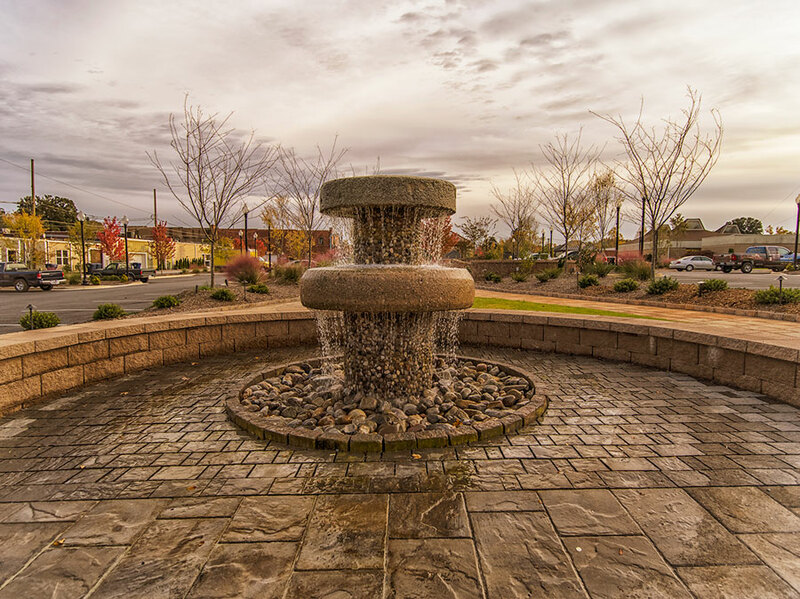 What once was a large parking lot off of main street, is now a beautiful community park with landscaped walkways, bandstand, outdoor classroom, fountains and community Christmas Tree. 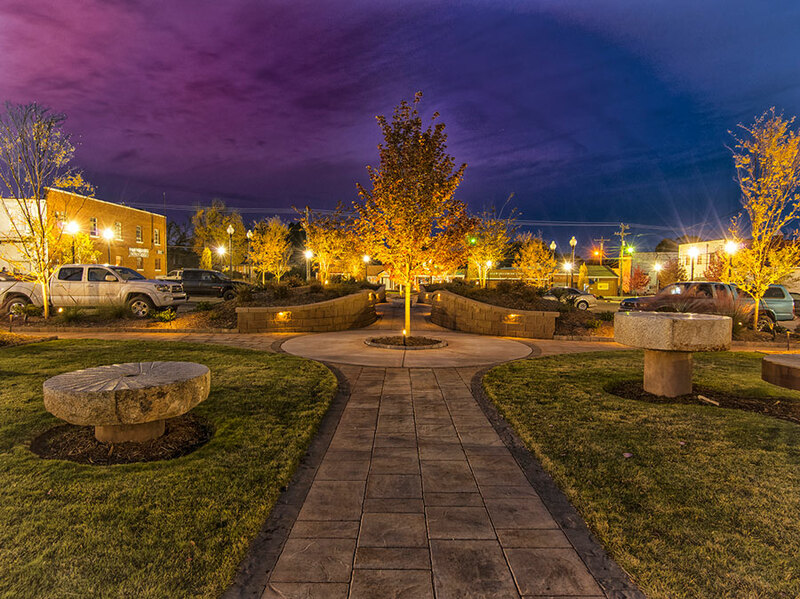 In late 2012, the city hired Southern Exposure Landscape Management of Summerfield, NC to design a three phase plan. By June of 2013, work began on phase 1 of the plan, with phase 2 beginning May 2014. Southern Exposure installed nearly 15,000 square feet of Belgard pavers, about 300 linear feet of walls and about 1,000 plants. Sod was laid throughout and two custom water features. Southern Lights, Southern Exposure’s lighting division, installed over 450 fixtures and 200 linear feet of strip lighting. Southern Exposure also landscaped three traffic circles at main intersections within the town. The completed project turned out beautifully and the venue has served for many successful events already – NC Food Truck State Championship, NASCAR Day Festival and Ramblin in Randleman just to name a few. Southern Exposure was very grateful for the opportunity to be a part of the city’s revitalization and will take part in another project in 2015 for the city’s library. Here are some photos of the completed project.